Have you been searching for the perfect CUV? At Island Mazda near Jackson Heights, New jersey we’re here to help. If you’re looking for an elegantly designed CUV with smart features, maximum passenger comfort and bold sophistication, you should be looking at the 2017 Mazda CX-5. Check out some of the facts and features that make the Mazda CX-5 a truly incredible vehicle. The exterior of the CX-5 is reminiscent of the ever vigorous beauty of the life. The CX-5 is a true piece of art. The flowing curvature of the body is met with bold energy from the carefully designed lighting and broad lines. Narrow headlights as well as dark metal accents bring power, while it’s signature Soul Red Crystal Metallic paint brings a rich depth to this compact CUV. Combined, these traits give the CX-5 a luminous beauty. The exterior isn’t the only impressive part of the CX-5, however. The interior aims to provide both the driver and passengers with unrivaled comfort. Available heated second row seat, and USB port in front and rear armrests make this a reality. A spacious interior, sound-deadening technology and available Power Liftgate make this vehicle versatile, accessible and innovative. If you’re looking for the best in class comfort, the CX-5 is for you. With three incredible models to choose from and endless available features make this vehicle completely customizable to your needs. Base model MSRP is only $24,045 – without incentives- which is in incredible price for this vehicle. The highest model price is $29,395 for the 2017 Mazda CX-5 Grand Touring. In all, this amazing vehicle gives you luxury without the price tag. So, if you’re looking for the perfect balance of technology, comfort and luxury, look no further. 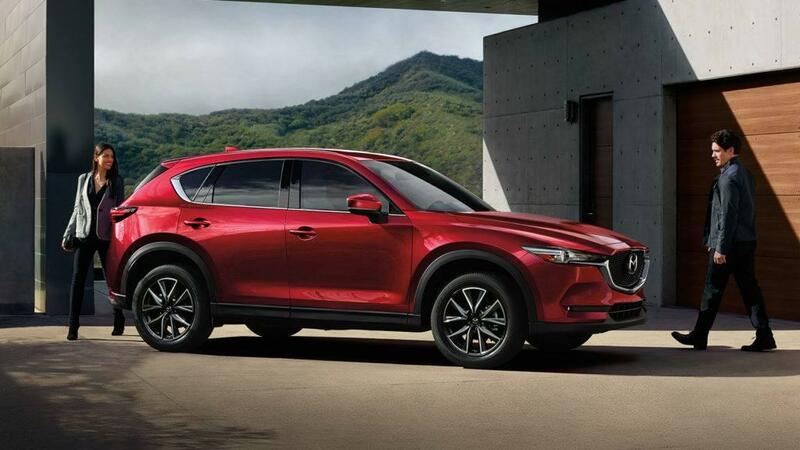 Stop by Island Mazda near Jackson Heights, New Jersey to take a test drive of the all new 2017 Mazda CX-5. We look forward to doing business with you.